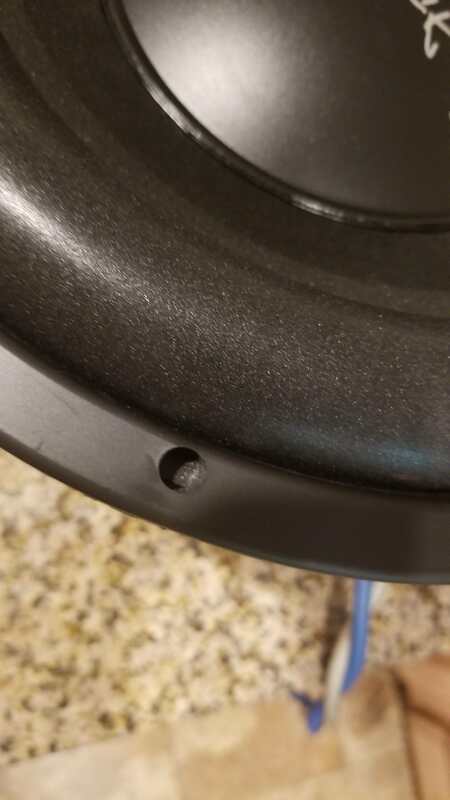 Screw through surround - Car Audio Classifieds! My 12" platform 2 arrived today and I noticed that there are no through holes to mount the thing. Am I supposed to drill right through? Take the gasket off and look at the underside of the basket. Find the 8 mounting holes and either drill/screw, then put the gasket back on. Always double check that the gasket it lined up with the mounts. You do not drill through the basket. Thank you. Is there a reason this isn't performed as part of the manufacturing process? Not sure. Could be for a number of reasons. Either way, enjoy the speaker. Psi makes top notch products that definitely don't disappoint.